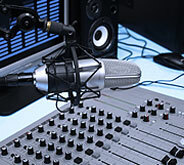 Looking for an experienced Male Voice Talent? Someone who's easy to work with and has a state-of-the-art Studio? You came to the right place. Whether you need a straight-ahead announcer, or a conversational read, I can deliver! From a soft, concerned, voice. . . to political reads... to an upbeat, hard-sell-car spots, concerts, DJ Drops and more. I'm a one-stop VO shop! At Power Mic Productions, we believe in doing business the old fashioned way, delivering more than our clients expect, faster than they expect it and totally exceeding their expectations! Power Mic Productions is wonderful to work with. They turn work around quickly and takes into consideration the feel of the event while recording the spot. Power Mic Productions has been an amazing company to work with! I have been extremely happy and satisfied with their work and would highly recommend them. Their service is second to none and I would personally rate them A++. Power Mic Productions is just different than other companies I’ve worked with for our radio advertising and promotional needs. Power Mic Productions is everything, the company I lean on for expertise, for content creation, for branding, especially for cultural focused events. 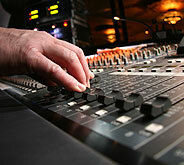 More than a creative resource, Power Mic Productions is truly a valued business partner. Power Mic Productions has given me the best production services to this date. I've used several production services over yhe years, but Power Mic Productions has always given me the best with attention to detail to suit my needs. Power Mic Productions will always be first choice for my production needs. Cheeko works quickly and has a great voice. If you need a high quality voice over with a quick turnaround, Cheeko is your guy!